How much ever we try to run away from those delicious French fries or fried chicken or any of your favorite dishes, we can’t; we can’t just run away since those dishes feel so tempting to eat. However, they also carry a lot of fats and calories along with them when we intake. Most of the food items we eat outside are deep fried in that huge bowl of oil which puts in a lot of unsaturated fats inside those foods that make them unhealthy as well as hard to ignore. The items which are deep fried take require a process of first heating up the oil (high quantity) to the absolute temperature and then placing the food items in it and then taking out of the bowl once done. We all know that the process is simple. However, it carries an enormous amount of saturated fats that are not good for our health. This problem of the time-consuming and using more oil for cooking is resolved by Air fryer. In the below article, we discuss in detail about what is an Air Fryer, how is it different from conventional deep fryers, how are they healthy? In what ways they aren’t healthy? And then try to get you answers of some of the commonly asked questions. So let’s get started! 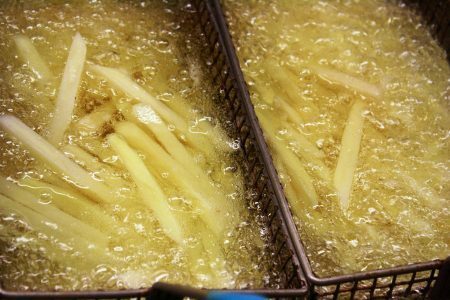 Why Oily Foods are Unhealthy? Why Should you use Air Fryers? What are the Health Benefits of Air Fryer? In What Ways the Air Fryers are Unhealthy? Before understanding the need of using an Air Fryer to cook those delicious foods and meats, it is quite important to know how foods that have excessive oil in them are termed to be unhealthy. All the fat which we intake are not harmful; there are certain oils which taken in right amount are good for health. For instance, olive oils, avocados, flax seeds and cold water fish, all these are healthy. The fats which are considered to be healthy are monounsaturated and polyunsaturated fats. These fats tend to control the risk of heart diseases and even reduce the cholesterol in the bloodstream. Our intention is not to scare you by telling you all the dangers and risks involved in consuming the oily foods. These are just some facts which are hard to ignore and are necessary to learn about them. Below we represent the major delicious foods which people are fond of consuming and burst out the calories that go in your belly when you intake them. All the below statistics taken from other sources . Please note that all the above details for every food item mentioned are based on single serving and in case of fried chickens it is of one piece of chicken or one piece of leg part. In the event of potatoes and mushrooms, it is a single serving and five pieces respectively. Above readings were taken in a standard daily used oil. Seeing all the huge numbers out there, don’t get scared because they are what they are but you can work on reducing the intake of such foods to stay healthy, or the best alternative is an air fryer which cuts down about 60 percent of the calories intake and 75 percent of the fats. On an average, a human being can consume 2000 calories from food daily. However, only 25 - 30 percent of calories should be from fats. Thus, about 500 calories should be from fats and remain from other sources. Don’t rely on fatty foods as your main meal and if you cannot still resist having them, then working out by hitting the gym will help you control them. So Air fryers are latest of technologies in demanding food industry. Now that many of people around America, Europe and other parts of the globe are seriously considering the healthy diet this equipment can be helpful in many ways. Air fryers have come a long way with people accepting how the delicious foods made out of it with very minimal effort in using and maintaining it. Air fryers as the name suggests uses air as a means to fry the food items with the minimal amount of oil. These air fryers produce the air at high temperatures ranging between 300 - 400oF within few minutes of operation. The air travels in a swirling manner and revolves all around the food items placed in the basket and fry them thereby maintaining the shape and crispness. The technology termed as Rapid air technology which makes every part of food exposed to the same amount of superheated air and temperature. This heat translates to equal cooking at every step and makes the food delicious. Okay before actually starting to use Air fryers, you must feel convinced why do you want them and why you should use them for cooking your food. Below we give you some simple reasons which will help you understand that air fryers are needed if you want a good healthy diet. This is the easiest and simplest reason which we can give you to use an air fryer. Air fryers are far faster when compared to the conventional deep fryers. They take very less time to get heated up and also cooks the fried food fastly. Also, you don’t have to stand alongside staring at it when your food will get ready and when can you take it out as some of the sophisticated air fryers come with settings which will automatically turn OFF the air fryer after the particular period of time. As we mentioned earlier, air fryers just use air to fry the food with a minimal amount of oil. So they are supposed to provide you good and tasty fried food. So if you want to maintain a good diet and have healthy food, air fryer is a must. Air fryer makes your food crispy and doesn't fill them with that fatty oils. These fatty oils correspond to major of the heart-related diseases and also increases the cholesterol level. Thereby, another important reason to use an air fryer is to have healthy food. Fried foods are one of the favorite foods which everyone would like to have. If you are also one of those fried food lovers then definitely you might be looking for some appliance to cook healthy fried foods, quickly and easily at your home. Then there is nothing better than an air fryer which can cook your different varieties of fried foods shortly. Now we come to the central part of this article, which describes in what ways the air fryers are healthy for you. There could be various unique reasons for you to use an air fryer. It could be any one of the reason from above mentioned or any other. However, below we list down how air fryers are healthy to you and help you to stay healthy. First and foremost reason for the air fryers to be healthy is that they reduce the fats in the foods drastically. Air fryers utilize very less amount of oil, and it can cook, roast, bake, fry all kind of foods using a little amount of oil. The main idea behind the Air Fryer is to use a super-heated air which performs all the above operations and delivers the food with very less fat. According to the recent study conducted by researchers, the food produced from Air Fryer has 80% less fat than the food obtained from the conventional deep fryers. In their study published in International Food Research Journal, researchers have compared the Air Frying machines at 180-degree Celsius for 40 minutes to traditionally frying methods. They cooked potato strips in six-minute batches and then tested them. What researchers found as a result was surprising! As the Air Fryers significantly reduces the amount of moisture and fatty acids in the fried foods. Overall, researchers declared the Air Frying to be a healthy technique to cook fried foods or any other kind of foods. Mostly, the deep fried food items will hit high on calories and are the reason for high cholesterol or the saturated fats that accumulate and makes you unhealthy. With Air Fryer, the calories produced from the foods are drastically reduced. Since the Trans fats from the fried items of Air Fryer's decrease, the calories that make up from the air fryers are also reduced at certain higher level. Hence, with the reduction in calorie consumption, you can work on your diet regime or lose weight. Thus, making the Air Frying technique a healthy one again. How many times have you felt while cooking fried foods in conventional methods that they are half baked or they are over crisped or less crisped? Yes, this is one of the common problems everyone face while cooking fried foods through the conventional methods. This is not the case with Air Fryer. They maintain all the crispness of food from outside as well as the healthy minerals and vitamins from the food. To have a healthy food it is also quite essential that it tastes good. If it is not, then it is hard to intake and with an Air Fryer that is not the case. Unlike other conventional methods or deep fryers, Air Fryers doesn’t restrict you to use it only to cook fried French fries or to cook roasted chicken. Air Fryers has a variety of applications and can cook different food items. Whether it is a cake you are cooking or chicken or nuggets or cupcakes or even vegetables, Air Fryers handle a different kind of food items. All the Air Fryers come with a user manual which guides us on how to use it against various food items and how much amount of oil and time has to be spent on them while cooking. Air fryers is a premium device, and it proves to be that at each and every stage of its use. The restrictions imposed on Air Fryers are minimal. Conventional fried food cooking method is a lot of time-consuming process and risky as well. In this processes, the risk of handling the food, fear of oil sprinkling over body parts while cooking or even the sticking of food to the parts of an appliance is almost negligible. For a healthy food to be called as healthy, it should cook evenly. The major idea behind the Air Fryer is that it uses the swirling like structure which makes the superheated air coming from the Air Fryer inlet to circulate evenly around the basket in which the food is available. This makes the food to be a lot tastier thereby making the food to be processed consistently and distributing the fats or minerals or vitamins inside food continuously across the food. Frankly speaking, there are one or two reasons why Air Fryers are unhealthy which are also negligible when you see the brighter side of using it. There are couple of reasons which we consider might not directly feel you say Air Fryers unhealthy. 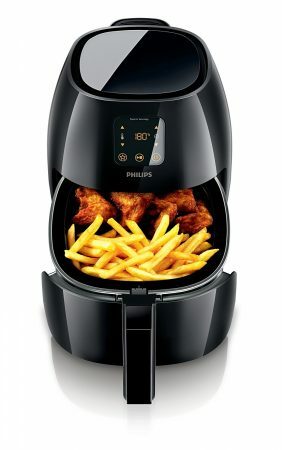 This should in your consideration before making a purchase decision of Air Fryer. If you are one of those parents, whose children like to eat fried foods a lot or it is just you who like to have fried foods every other day, then you can consider buying a Air Fryer to get a healthy food intake which cuts down the fat and unhealthy calories. Though being a premium device, a good Air Fryer will not let you down at any stage of its use. In fact, you will like it so much that you tend to use it to learn various other unique dishes. Well, again as we said that there are negligible reasons why you should not consider using an Air Fryer. This is that negligible reason. Raw foods are always better than cooked foods which we all know since they are quite healthy and provide us all required minerals, vitamins and other essential stuff. 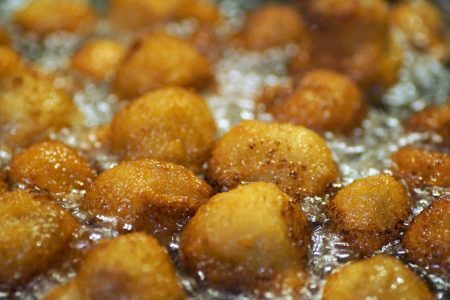 As human beings, we definitely have hard time ignoring the delicious fried food and once in a while we would love to have them, So contrary to this fact, the Air Fryers are healthy but they tend to reduce the mineral or vitamin content from the foods which almost every conventional method of frying do. How much an Air Fryer Costs? A: There are wide variety of Air Fryers available in the market and based on trusted brands the cost may vary. You can probably check our reviews of various Air Fryers. Can I cook fish in my Air Fryer? A: There are wide variety of foods which can be cooked in an Air Fryer. However, we recommend you to go through the user manual which comes along with an Air fryer that helps you understand what kind of food you can actually cook and what you cannot. How are saturated foods not good for health? A: Saturated foods are basically the food items which contain lot of fat in them. These fats are not good for health as they tend to create lot of adverse effects on your body. They directly impact on cholesterol level. Major of the fats are from meat, cheese, butter and animal related items. Fried foods are not good for health if they are not cooked properly as they contaminate a lot of saturated fats in them. We are pretty much sure that everyone likes to have those scintillating French fries, fried or toasted chickens, doughnuts, or any other such foods. The main drawback of using any of the deep fryers is that they require time and patience, more than little quantity of oil and above all experience in using it else it is hazardous. To overcome the troubles in using the deep fryers for cooking, air fryers created which reduces a lot of burden on the end consumer. These oils tend to produce fats which affect badly to the cholesterol levels in the bloodstream. The use of excessive oil is the primary reason and also the first need for the creation of air fryer. Air Fryer, on the other hand, uses air as a means of heating the food and is very beneficial in all which ways. Air fryers have the radical design that swirl up the air in the chamber where your delicious food is placed and superheats them up to 200oC thereby equally distributing the heat and making the food lot crispier and healthy as well. Air fryers are pretty much helpful in many ways since they are less time consuming, they don’t need your continuous attention, they can cook variety of food items in lesser span of time, they don't affect structure of the food much, they add up very minimal amount of calories to food compared to any other fryers available on this earth. So what do you think are air fryers healthy? Let us know in comment section below. I'm Amanda, the Chief Editor at AirfryerBlog.com. I love cooking with my air fryer, and I thought to share my knowledge of Airfryer with our users, so my team and I created this blog. 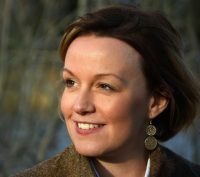 PATRICIA L PARSONS on Disadvantages of Air Fryer?